Frazier Park Real Estate offers a little piece of mountain heaven with the added benefits of being close to major shopping. This page will introduce you to information on Frazier Park Real Estate and Frazier Park Homes for Sale. 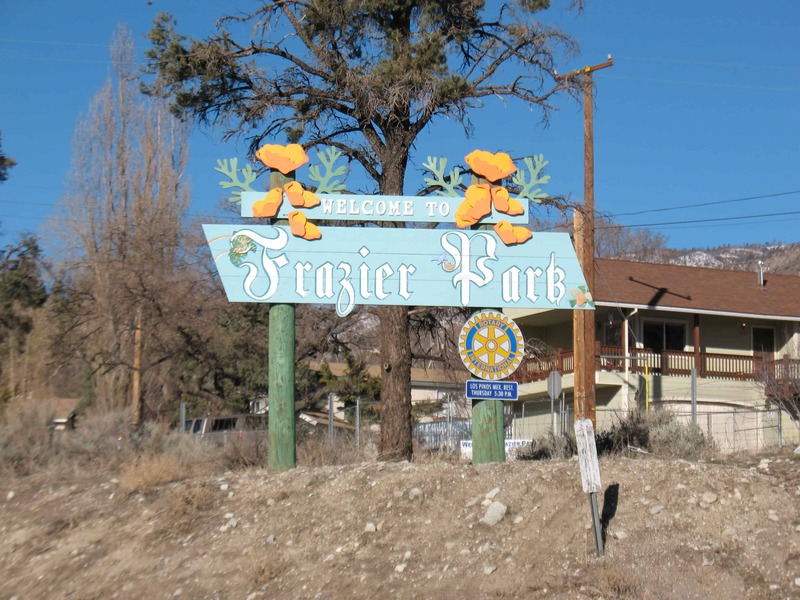 Located approximately 46 miles from Bakersfield, Frazier Park is highly sought after for those looking to escape to a mountain getaway. Established in 1925 by Harry McBain and know then as “Frazier Mountain”, this mountain community was also used in the filming of “The Waltons” TV show. Home to approximately 2,575 residents, this area has one school district named El Tejon School District and offers three schools for the area. Students in Frazier Park and the El Tejon area are served by Frazier Park Elementary School which handles students from kindergarten to fourth grade, El Tejon Middle School for students fifth through eight grade and Frazier Mountain High School for students ninth through twelfth grade.. Built in 1995, FMHS is actually located in Lebec which is about a 6 miles away. The overall ranking for the school district as rated by Homefacts.com is “C”. Many residents with school aged children choose home-school as an option mainly due to the climate that brings snow during the winter season. Homeschooling in the area is offered by a satellite campus from Valley Oaks Community Charter School which is actually based in Bakersfield. Interested in more info on Frazier Park Real Estate & Homes for Sale? Contact Us Anytime! Looking for things to do in Frazier Park? There’s camping, large park four-wheel ohv area and nearby Lake Pyramid and Quail Lake for boating and fishing. Each of the four seasons offers new things to do, during the winter months, the area offers plenty of trails for cross-country skiing while the other 3 seasons offer hiking, mountain biking and other outdoor activities.